When you need outdoor living products you can depend on, turn to the organization dedicated to providing homeowners across the United States with elite contractors that deliver exceptional service – NAPAC. This acronym stands for the National Association of Professionally Accredited Contractors, and we’re here to help you find a contractor you can trust. Our dealers have been carefully selected using a stringent qualification process to ensure they truly offer service that stands out from other contractors. 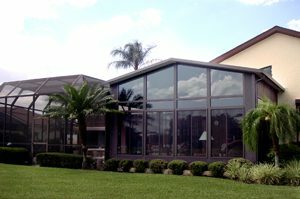 When you turn to NAPAC for an outdoor living addition, you’ll receive a professional installation from highly trained, certified craftsmen. Since our dealers have verifiable track records for customer satisfaction, you can feel confident that they will do everything in their power to ensure you are satisfied with their products and service. In fact, they won’t consider a job complete until you are 100 percent happy. Best of all, all of our dealers are required to offer material and labor warranties. For added peace of mind, NAPAC provides a “Performance” guarantee, as well as an “Assurance of Lowest Price” guarantee. If you’d like to request a free quote for your outdoor living project, contact NAPAC today. Our quotes, which are exact prices, can provide an honest baseline comparison from elite contractors in your area.